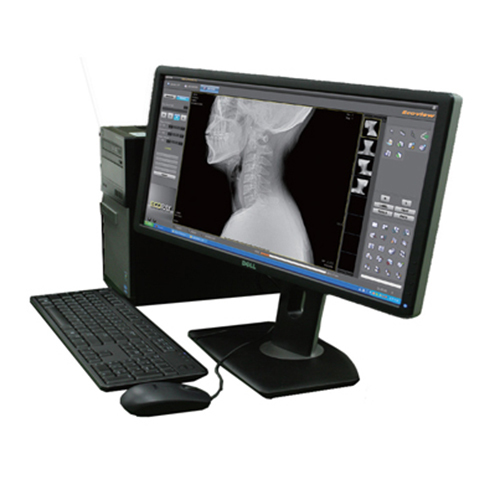 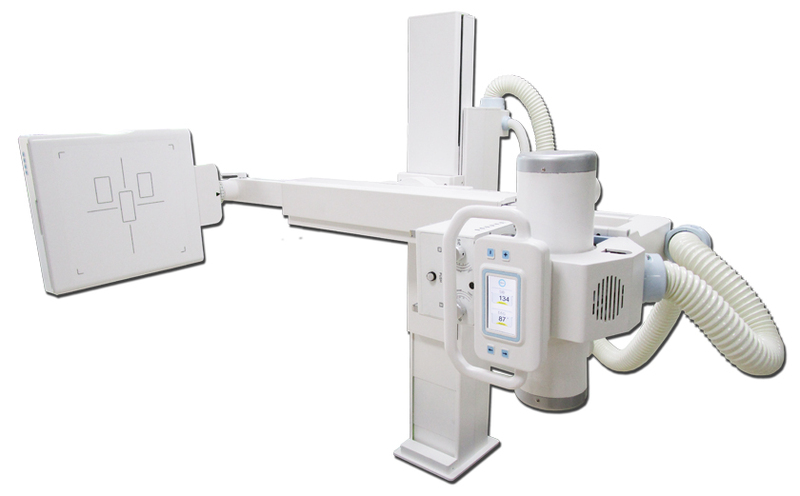 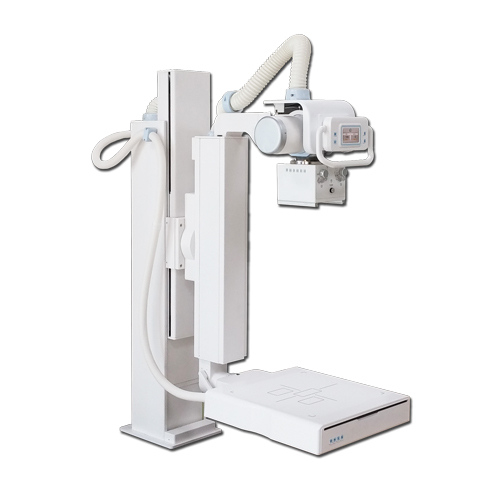 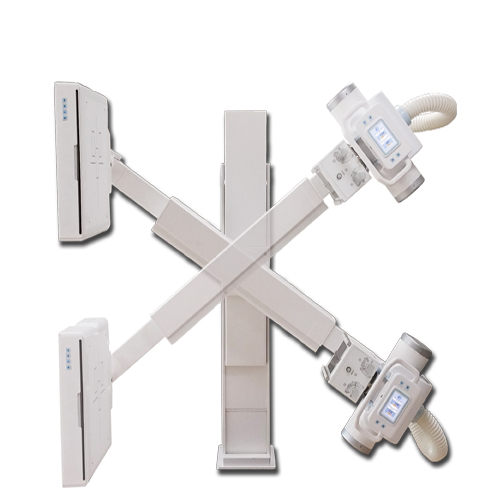 New “ECOVIEW 9” Straight arm DR system has been designed and developed to enable users to have various X-ray examinations even in small areas without limitation such as urgent cares or clinics. 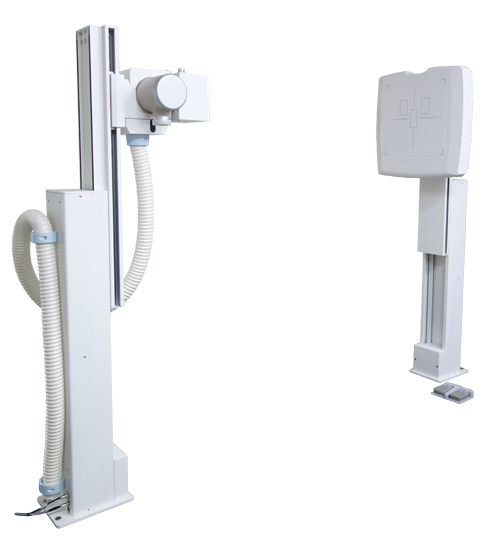 Motorized movement for SID control and Arm elevating (up/down). 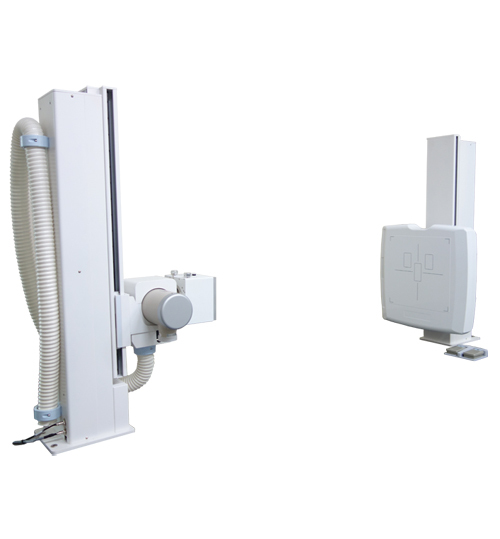 The collapsible column can shrink upto 1.4m according to the space condition. 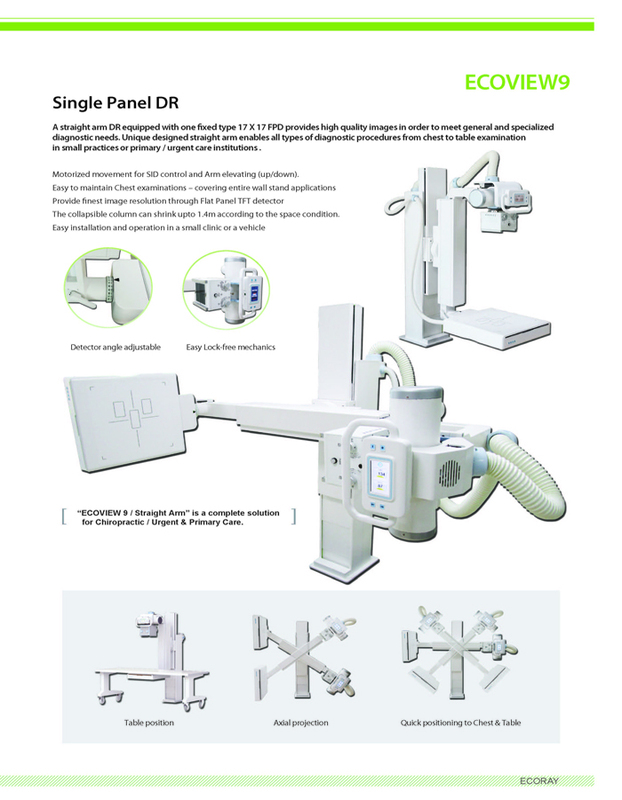 for Chiropractic / Urgent & Primary Care. 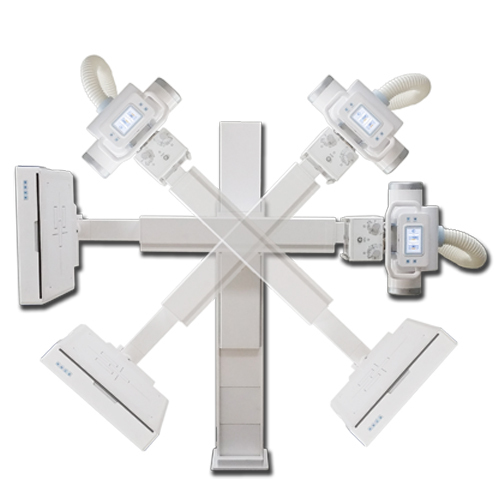 Ecoview 9 chest exam is most suitable for small examination centers such as chiropractic and thoracic specialist. 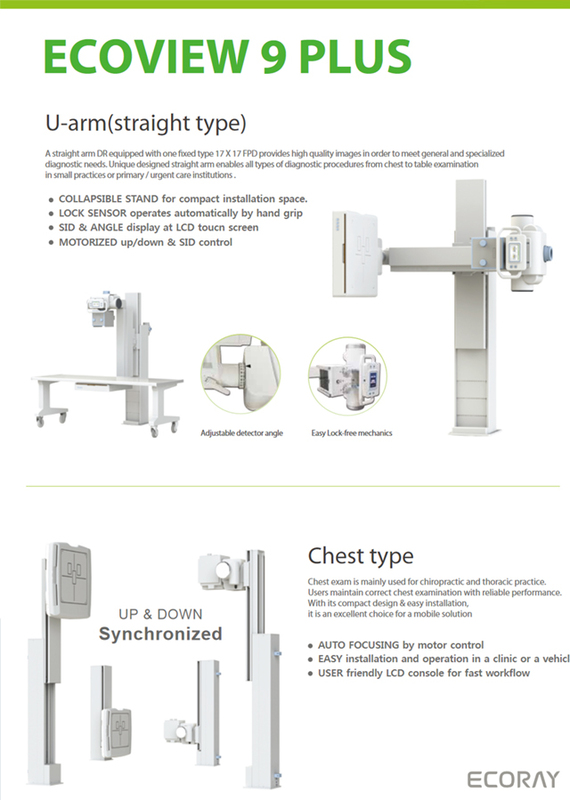 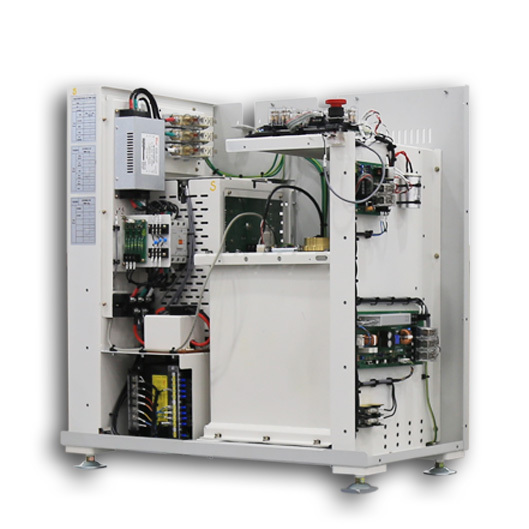 With its synchronized up/down movement by motor control, the operator can easily perform chest examinations. 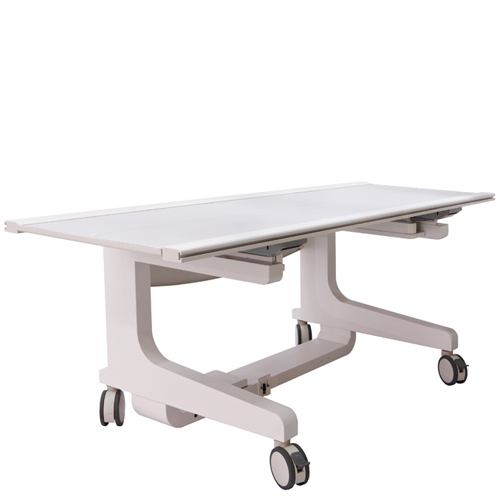 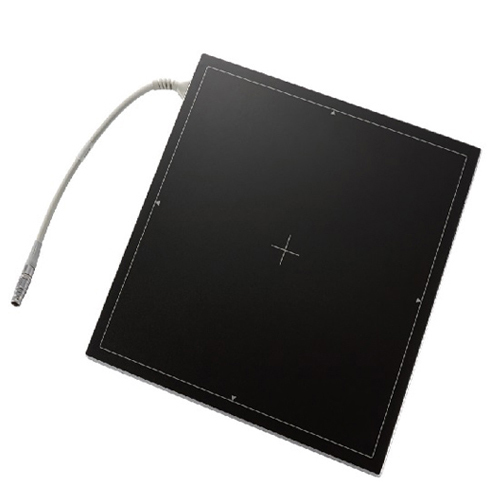 This model offers easy Installation and Operation in limited area like a clinic or a vehicle. 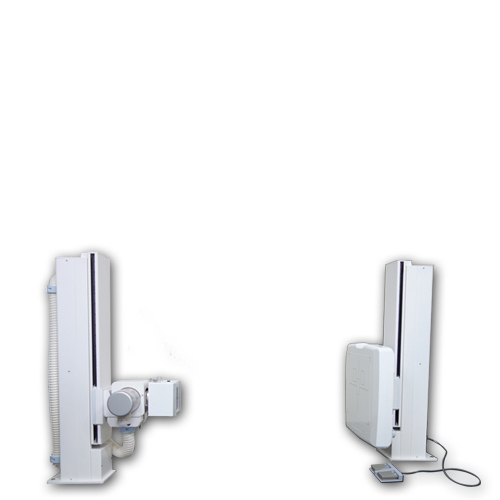 Please click the below botton for download.